Properly spacing your landscape plants is one of the secrets to a garden that is both stunning and functional. While plant labels sometimes provide a recommended spacing, the optimal spacing can vary based on the context of the planting and the goals of your design. The general rule of thumb is to space plants according to their expected width at maturity. For example, a tree that is expected to grow 40 feet wide would be planted 40 feet from the next tree of the same variety. If a 40-foot wide tree was planted next to one expected to reach 60 feet in width, the proper spacing according to this logic would be 50 feet — 20 feet for the radius of the smaller tree plus 30 feet for the radius of the larger one. While this is a helpful general rule, there are many landscaping situations where it makes sense to break the rule. Sometimes there are reasons for spacing plants closer so they grow together and other times you’ll want to spread things out to create the desired effect. When a tree is used as focal point in the landscape, the goal is for it to stand out, meaning you want lots of space between it and the next tree of a similar size. For a true focal point, space trees at least five times their mature width from each other. If your goal is to create a forested glade for a shade garden, cut the spacing in half, or as little as one-quarter of the standard rule of thumb, so they will quickly grow together into a continuous canopy. This works best with trees that grow taller than they grow wide though the close spacing will force any tree to adopt a more upright growth habit. If you have the heart in landscaping, you must grab this one! My mom got so many brilliant ideas from this book that indeed worked on the landscape at home with the help of my dad. Whenever you think that you have skills required for landscaping works, then you must improve and nurture it thru reading this book! 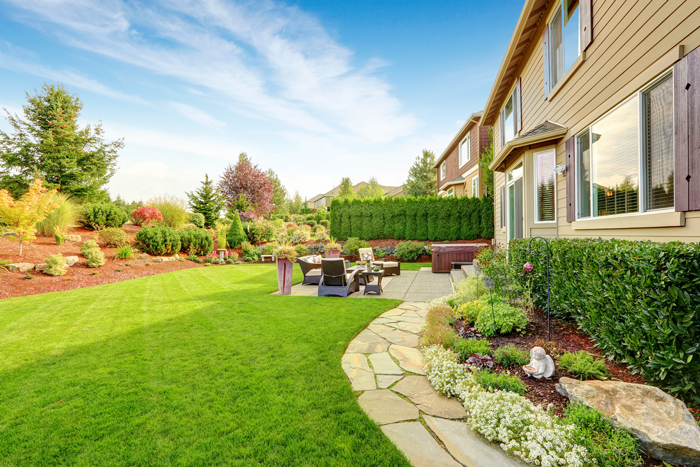 When you do your own landscaping or whether you hire a professional landscaping, there are some practices that need to be avoided in order to set things properly. Be extra careful and watch out for these common landscaping fails that you may encounter in the future.